Talking Clock - Clock with numerous Customization. 4 Corner icons pack that opens another 4 icons around the corners (designed not to disturb your favorite Wallpapers). ( Game Icons ) LEFT TOP - Pkr, San Andreas, Brothers in Arms and F1 2010. CENTER WINDOWS ICON - 1 left click to hide all mini icons. 1. Unrar Lambo.rar and set the wallpaper. 2. Install Flash Player 10 ( Important to work RadioWeb). 3. Install Windows Gadgets from the folder and place on certain locations on Desktop. 5. Refresh Rainmeter and load Lambo Sesto.ini. 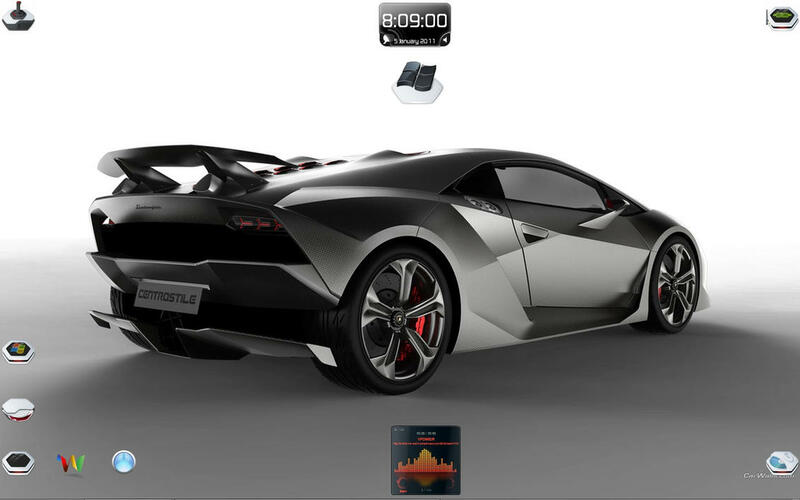 0 on: "::Lamborgini SESTO:: RAINMETER SKIN"